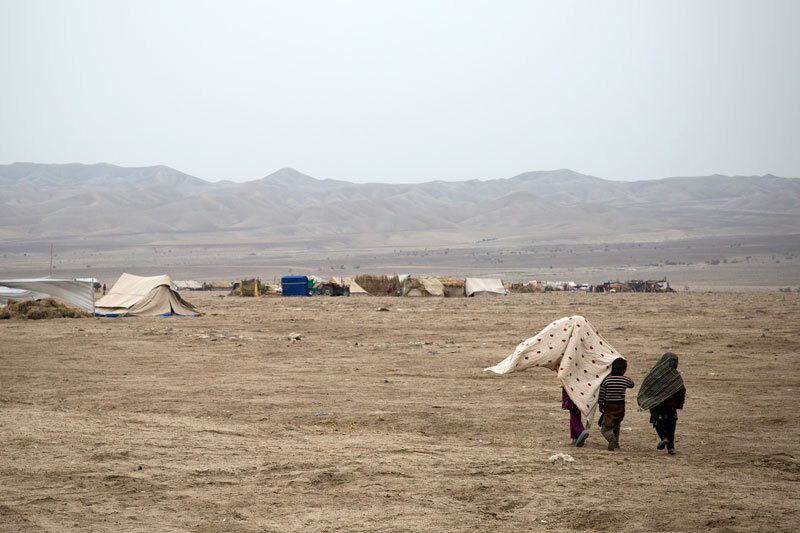 Afghanistan - IOM has launched a four-year, EUR 18 million project with funding from the European Commission's Directorate-General for International Cooperation and Development (DG DEVCO) to support returnees and host communities across Afghanistan. The project will help foster sustainable reintegration by promoting economic development in communities of high return, building the capacity of government bodies working on migration and providing post-arrival assistance for returnees. Communities in Kabul, Herat, Nangarhar, Balkh, Kandahar, Baghlan, Uruzgan and Laghman will be targeted. “Our joint collaboration under this project marks a critical and much needed step towards providing longer-term, sustainable, income-generating solutions and livelihoods for returnees,” said Laurence Hart, IOM’s Chief of Mission and Special Envoy in Afghanistan, speaking at today’s signing event in Kabul. Under the project, and working with a network of partners, IOM will complete a series of community development initiatives in areas of high return. The initiatives will include small-scale infrastructure and income-generating projects in a number of different sectors, including agricultural rehabilitation, irrigation and canal cleaning, rural development, handicrafts, and providing equipment and supplies for public institutions and commercial spaces such as markets. These activities will be carried out in close cooperation with the local community, through the existing Community Development Councils. IOM will also support 1,000 technical and vocational education and training initiatives and skills development activities in the target project sites, and provide financial assistance to approximately 40 existing micro/small businesses. “Support for improving migration management in general, including in the area of return and reintegration, is included as an objective under EU development cooperation and the special measure that we implement in Afghanistan is a rapid reaction to an unprecedented challenge,” said Raffaella Iodice, Head of Unit in Charge of Migration at DG DEVCO. In addition to increasing the sustainability of return and reintegration through community and economic development, the project will offer vital information to returnees and potential labour migrants through the establishment of Returnee Information Centres (RICs) in key locations. The RICs will serve as a “one-stop shop” offering counselling and information on assistance for returnees as well as safe migration. Over the course of the project, IOM will work to build the capacity of the Afghan Ministry of Refugees and Repatriation to the run RICs and transition them to government-run facilities. Finally, the project will bolster the capacity of IOM’s existing post-arrival reception assistance for Afghans returning from Europe, providing funding to assist 2,000 returnees. “Not only will this project have a positive impact on tens of thousands of Afghan returnees and high return communities, it will also serve as a valuable learning platform for creating successful return, reintegration and development interventions in the future,” said Hart.